Mobile Banking in business is becoming a more prevalent way of running your business on a day to day basis. After attending a Commonwealth Bank Entrepreneur’s event on Tuesday night and hearing about the different innovations and products that they have created, it got me thinking about what banks offer to today’s customers and businesses to manage their finance. Everyone has different needs for a business, whether it is a retail store or as a service provider and I love seeing how each industry handles using mobile devices in business. I have done research today on what the banks are offering in terms of mobile apps and how it can integrate with your business (even just on a personal level). 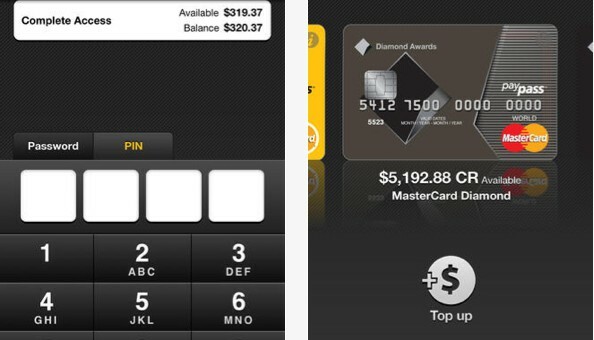 Most of the apps offer features such as: transferring money between accounts, checking bank balances, make BPAY® payments and find ATM’s of that particular bank in Australia. In tomorrow’s blog post I will be talking about POS (Point of Sale) systems that can be accessed thru mobile devices and what is available for both retailers and service providers for mobile payments. What banks offer today for mobile devices? 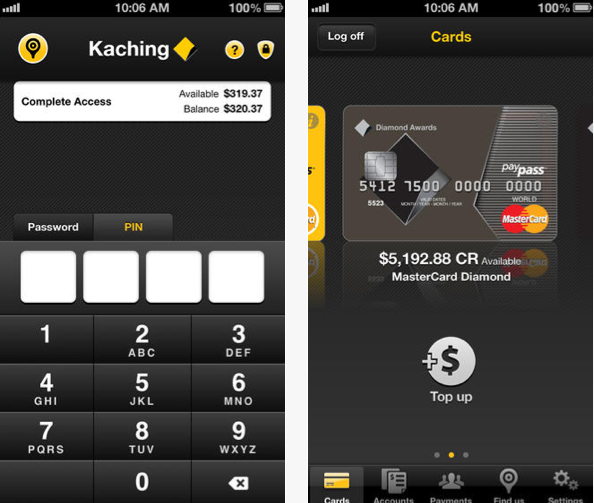 Commbank App (Android, iOS, Windows): Check accounts, transfer money, pay bills using BPAY ®, check exchange rates and find your nearest ATM/Branch. Kaching App: (Facebook, Google and iOS) Pay anyone, anywhere at anytime using your mobile, email For most of my friends who bank with CBA, this is one of their favourite apps. You can also instantly see how much balance is in each account. Netbank for Tablet: Allows you to see your transactions in real time, see an overview of your transactions across all your accounts. ComSec App: Great for those who need to manage their investment portfolio. Buy and sell stocks, access live prices and view video market updates. Westpac Mobile Banking (Android and iOS): Locate the nearest ATM, pay anyone or use BPAY ®, check accounts and balances plus it has the added benefit of various tools and calculators such as car loans, home loan calculators and currency converter/travel checklist for when you are overseas. 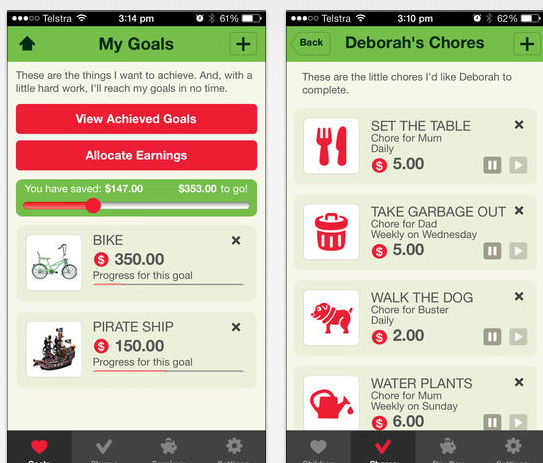 Westpac Banking for iPad: With this app you can transfer money between accounts, send money to family and friends via the ‘Payment Zone’ within the app, view eStatements, see last 100 days of transactions and open a personal savings or transactions account. I love this feature of mobile banking of being able to pay anyone using just their Australian mobile number (the other option is to use their BSB and account number). With this app you can also transfer money between accounts, check balances/accounts and pay bills with BPAY ®. The idea behind this app is that NAB Flik lets you repay money to friends/family or likewise receive money. New features such as not needing to know their bank details and being able to send a request (to people that still owe you money) is great both personal and business banking. 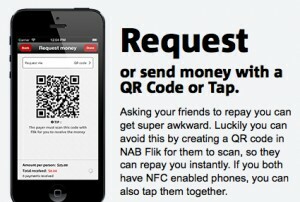 This app was only recently released and has some very cool features such as being able to send money via a QR code that has been generated, send money to a Facebook friend (like CBA Kaching app), pay anyone at anytime as well as check accounts/bank statements and transactions. Mobile Banking: (Android, iOS, Blackberry and Windows Smartphones): The features include: check account balances, view transactions, Pay Anyone, use BPAY ®, Pay to Mobile Phone, eStatements as well as locate St George’s ATM’s and Westpac ATM’s. This app allows you to quickly look at your account balance without needing to login to mobile banking, the Budget Planner (also a separate app), foreign exchange calculator and car finder (find the nearest car dealer for the type of car you are looking to purchase). Happy Saver: A great initiative by St George’s to help the younger generation save (with both a parents section and a Kids section where goals can be set towards saving for an item/s. Mobile banking, news about the bank, find a Bendigo bank or ATM, and contact the bank via social media or email. Fast access to check bank balances and accounts, pay BPAY ® and Pay Anyone (only available to Bankwest customers). ING: (Android and iOS) all other devices access thru mobile website. Check accounts quickly, transfer money BPAY ®, move money between accounts and have access to your full transaction history. This is a fairly basic app in terms of its features. It links to the BOQ mobile website, find a bank/ATM (which integrates with Google Maps), as well as other standard features such as BPAY ®, Pay Anyone payments, account transfers, transaction summary and direct debit payments. CitiBank: (Android and iOS) all other devices access thru mobile website. With this app, you can view account information, transfer money between accounts, pay bills, check foreign exchange rates and ATM/Branch Locator. This app provides access to transaction listings, your accounts and latest balance, transfer money between accounts, Pay Anyone, BPAY ®, locate your nearest ATM/Branch Locator and help with frequently asked questions. I have really enjoyed researching and curating today’s blog post on how banks are providing extra services to their customers. Remember, to read yesterday’s post on ‘collaboration with Teams‘ and tomorrow’s post will be on retail and POS.